I'll be writing more over the weekend, now I want to spend my quite unexpected night at home with some knitting. Today I finished up the "Friday Harbor" socks from Knitting on the Road from Nancy Bush for the KOTR-KAL. I also made myself some blockers out of 2 old coat hangers. Not perfect, but they'll do the job. Sorry for the bad picture but it's dark quite early here these days. Loving the design on those socks! 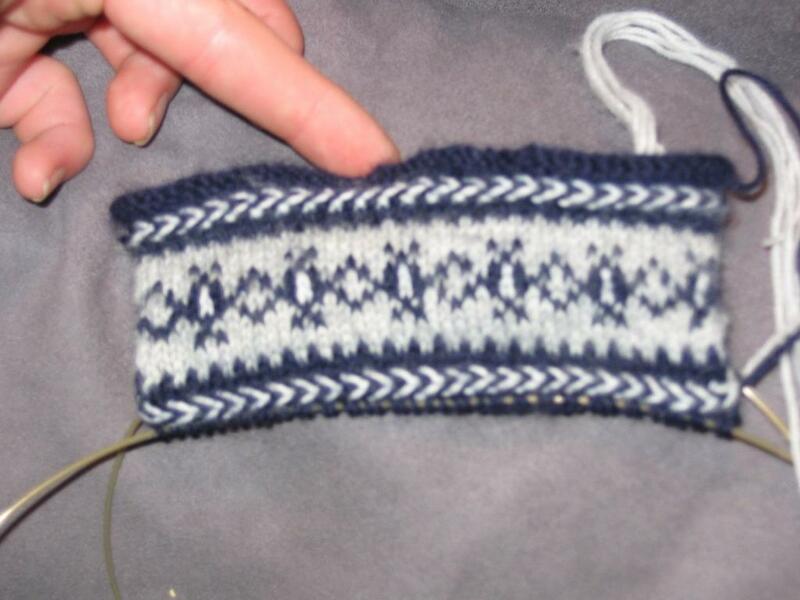 I must must must try fair isle sometime. 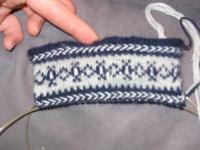 Or is that intarsia? 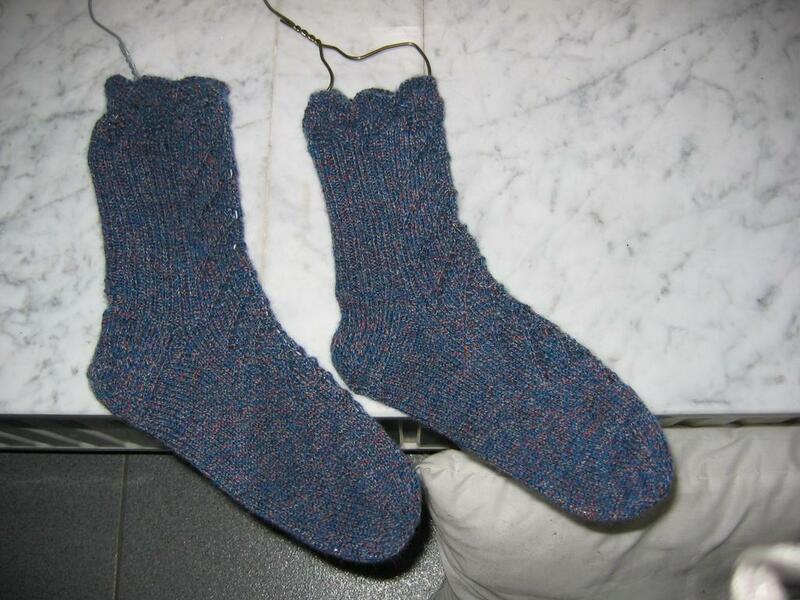 I am now officially reconsidering the sad plain socks that I am making for my SET pal.